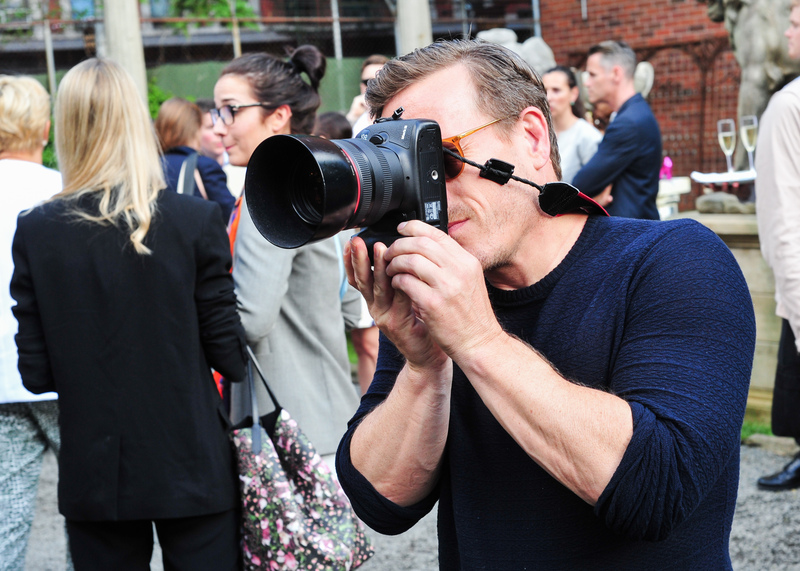 Street style snapper Scott Schuman was amongst the crowd at Vionnet, so as we waited for the show to begin we caught up with the famed photog to find out his favorite Paris Fashion Week moment and to see which fashion insiders are seeking to be the apple of his eye. Do you have a favorite Paris Fashion Week moment? That’s a tough one! Probably my first Dries Van Noten show. He is such a genius. You just never know what is going to come down the runway with him. Oh and along those lines, when he opened his exhibit at the Louvre, he personally took Garance [Doré] and I through the exhibit and explained all the different vitrines. That was really cool. Did you know him well before that? I knew him a little bit through business things. He was so gracious. The museum was open so there were other people there and sometimes he would want to point something out and he would have to tap someone on the shoulder to say “Excuse me” so we could see better. When they would turn around and realize it was him they would gasp, because they were all these design students. Did any of those people in the crowd not recognize Dries? I think people kneo, but sometimes they want to act like they don’t notice or they’re just surprised and don’t say anything. What did you think of his show this season? It was great. That’s the kind of Dries I really like. I always like his show, but there are some that I like more than others. I like when he’s really mixing patterns and there’s all of that detail. Do you ever have people that stalk you to have their photo taken? All the time! Like this one over here [jokingly points to Style.com’s fashion market director Rachael Wang]. She’s always jumping in front of the camera. Oh an this one over here [points to Bill Cunningham], he’s always trying to get in my pictures. Has Bill ever taken a photo of you? Oh no, no, no. The only thing he has ever said to me is, “Get out of the way!” I think one time he gave me a head nod. What’s Maggie Rizer Been Up To?